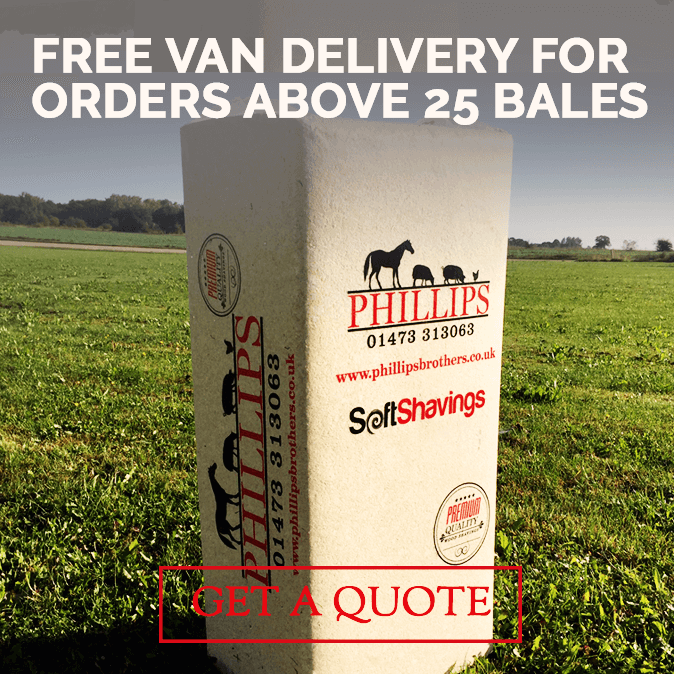 Phillips Brothers Wood Shavings provide extremely high-quality horse bedding products for the equestrian sector. We have 30 years experience supplying poultry bedding products to farmers from across the Southeast of England. Providing premium quality wood shavings, horse bedding and poultry bedding for over 120 years. Established in 1894, Phillips Brothers Wood Shavings have been providing wood shavings and sawdust throughout the Southeast of England for over 123 years. We are regarded as experts in the supply of high-quality horse bedding and poultry bedding particularly in Suffolk, Essex, Norfolk, and Lincolnshire. As a company, we have over 120 years of experience and 5 generations of knowledge. Having acquired BSI iso9001 accreditation in 1998, the first in our field to do so, we have long been leading the industry in quality of product, professionalism, biosecurity and customer care. As Suffolk based horse bedding specialists, animal care is at the heart of what we do, our horse bedding is produced from high-quality wood shavings and straw, selected specifically for the equestrian market. We provide a free of charge van delivery service throughout East Anglia to enable us to reach the horse owner that has restricted access or minimal storage space but wants the benefits of buying directly from the manufacturer. Phillips Brothers offer a wide range of poultry bedding and services including initial lay spreads that our experienced operatives will carry out using an AG dispenser, ensuring even coverage throughout the sheds. When it comes to our poultry bedding, bio-security is our number one priority. We have been accredited with the BSI ISO 9001 (No. FM39473) quality management system for 19 successive years, proving our high standards of quality and care, and confirming that our products are consistent and reliable. Bio Security is our number one priotity, and as such our straw and softshred products are treated with Salguard TM, an active agent which ensures an anti-bacterial and anti-fungal experience. Your horse bedding and poultry bedding products are as safe as possible. Here at Phillips Brothers Wood Shavings we care greatly about the environment. We are always working towards being completely carbon neutral. All of our products start from the earth, and once used, they return there.